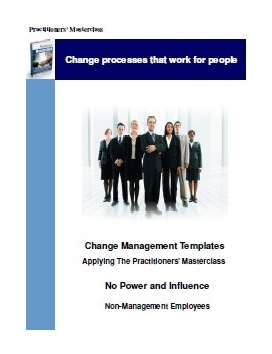 Study Unit 12 - Change Management Templates - For Supervisors + Non Management Employees - these templates recognise that many people using these materials do not have much, or any, power or influence; and in many cases have change imposed upon them, by senior management who neither understand nor apply change processes that work for people. 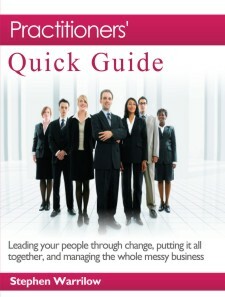 "I have purchased your materials and find your insights strong and your explanations clear and succinct. Cheers, and thanks again for your resources. They are clear, sensible and useful." "How will this study series help me - now?" 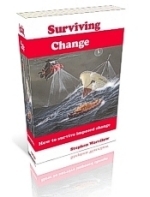 This self study series will educate you, will prepare you and will empower you to survive imposed change and to lead and manage yourself, family, employees and colleagues successfully through change. 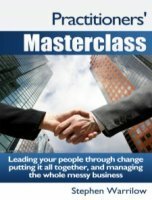 This study series shows you specifically and in detail WHAT to do, HOW to do it and WHEN to do it. I am very aware that we are in a recession and money is tight. The price for this study series is set at a low and reasonable level at $19.75 per study unit (per week). There is NO financial risk to you. You can cancel the payments and stop receiving study units at any point in the 12 weeks. In addition, I am so confident in the strength of my material that I am giving you a 100% value guarantee. In the extremely unlikely event that you do not feel your study unit is worth $19.75, and provided you contact me within 6 days of receiving your study unit, I will refund you your $19.75 and cancel your subscription - with no quibble and no hard feelings. 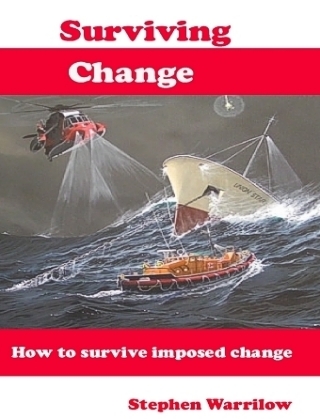 "There is a richness of content that is seldom brought together in such an integrated way... illuminates why the majority of change initiates fail, providing a clear guide for improving the likelihood of success. " - "Leading After Layoffs" - by Wendy Mack and Deanna Banks - a very insightful and practical perspective on "Best Practices for Re-Energizing Your Workforce"